The pans you are using could have an effect on the performance you get from your hob. Looking out for the right features in a pan set will make your energy go further and your dinner cook quicker! It’s safe to say that different pans work better with specific hob types, so here is our expert advice on how to get the most from your hob. Any pans will work on gas hobs, flat bottomed pans are not essential for a gas hob due to the pans being suspended over the flame on pan supports. Gas hobs are also compatible with all cooking materials, this means that you could have aluminium or copper it’s completely up to you. So as you can see in terms of cooking equipment gas hobs are very flexible. 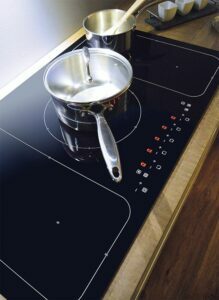 Electric hobs require a flat surfaced pan to cook successfully as the pan will need to have full contact with the hob, unlike with gas hobs. Electric hobs are compatible with any material but it’s important the bottom of the pan is flat. When buying pans, you should consider the weight, material and base of the pan. While gas and electric hobs don’t have as many requirements, some types of hobs will perform better with specific pan types. Flat bottomed pans are essential on solid plate, ceramic and induction hobs to ensure maximum contact between the heat source and the pan base. 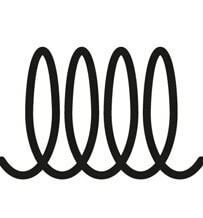 This increases heat transfer and, in the case of induction, magnetic connection. 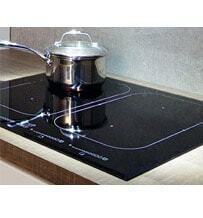 Stone, glass and ceramic pans are not suitable to use on a ceramic hob because they do not conduct heat well. Aluminium, stainless steel and copper pans will work, but they do tend to leave marks on the glass, however because of the easy to wipe surface it should be quick to get rid of. There is a misconception around ceramic hobs that if you put too much weight on top of the hob it will crack the ceramic glass. So if you are worried that your pans are too heavy, don’t, it will not crack. It is a special form of glass that will not shatter or crack easily. But do ensure that your pans are not too heavy to lift, and that you can cook safely with them. We would suggest that you place your pans onto the heated surface, rather than slide them, as they could scratch the glass. Many ask the question, do I need special pans for an induction hob? The answer is yes, you do. 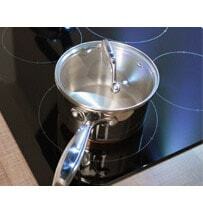 Ferrous metal pans are required if you are purchasing an induction hob. 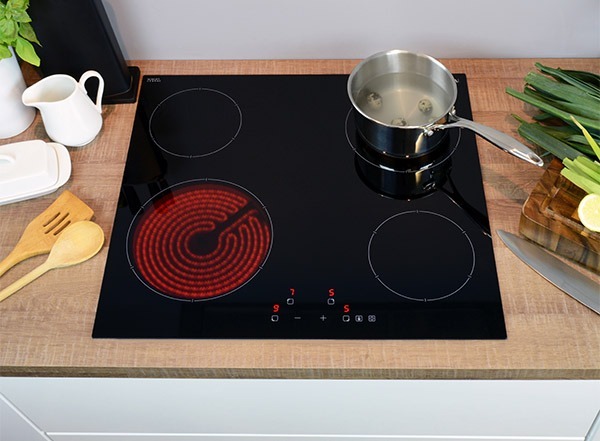 Without a magnetic material, the technology in the hob will not be able to connect to the pan and transfer heat effectively. So if you have pans that are made from copper or aluminium they will not work, unless they have extra layers added onto the bottom to ensure the heat is transferred through. You can check to see if a pan is made of the right metal by testing the base with a fridge magnet; it will stick if it is made of the right material. When pulling the magnet off of the pan, if it is hard to pull it means your pans will heat up faster and cook quicker. If it sticks, but comes off quite easily, your pans will still work but just won’t be as effective as if the magnetic pull were stronger. Another useful tip to check if your pans are ok to use is by looking for the symbol on the base of the pan that means the pan is induction compatible. Pans liked to be looked after as well! If you take the necessary steps you will get years of use out of your pans. One thing many of us are probably guilty of is taking a pan off of the hob and putting in the sink, full of cold water. Don’t do this, as it can warp your pans, leave them to cool, and then wash them in warm soapy water, or the dishwasher, but first check if the pan is dishwasher safe. If you find you have tough stains on your pans, leave them to soak before trying to remove the stain, this will help to loosen the food. 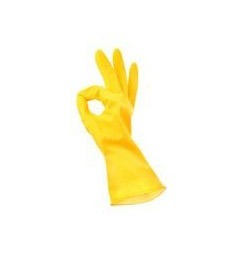 Using abrasive tools to clean the stains off only scratch and damage pans further, so ensure you use soft cleaning tools. If you find that your stainless steel pans are becoming stained and not looking up to scratch, a handy tip is to clean them with olive oil. Make sure all food and dirt is wiped free, then clean and buff your pans to make them shiny and new again. Many people don’t know that cooking acidic foods like tomato sauce leave a metallic taste, so your food may taste like metal, which is not what you want! The pans that tend to react to acidic foods are copper and aluminium. Dishwasher tablets will affect copper pans, they discolour and ruin them, so ensure you keep them out of the dishwasher and hand wash only. 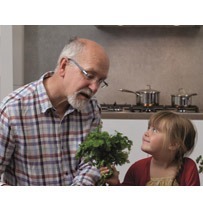 Now you know what pans to use for which hob and how to look after your pans, you are ready to get cooking!